Freckles can be a beautiful feature on anyone, but not everyone is born with freckles. Freckles only form once our skin is exposed to sunlight. Different people contain different amounts of melanin in their skin, if you have fair skin you have less melanin, if you have dark skin you have more melanin. We have melanin in our skin in order to absorb harmful UV light rays from the sun. UV rays can damage the skin and cause cancer. This is why fair skin people like to stay out of direct sunlight. Your freckles and spots form as a protective shield in your skin to avoid harmful damage from UV rays. Today we have other solutions to protect our skin, such as SPF creams. 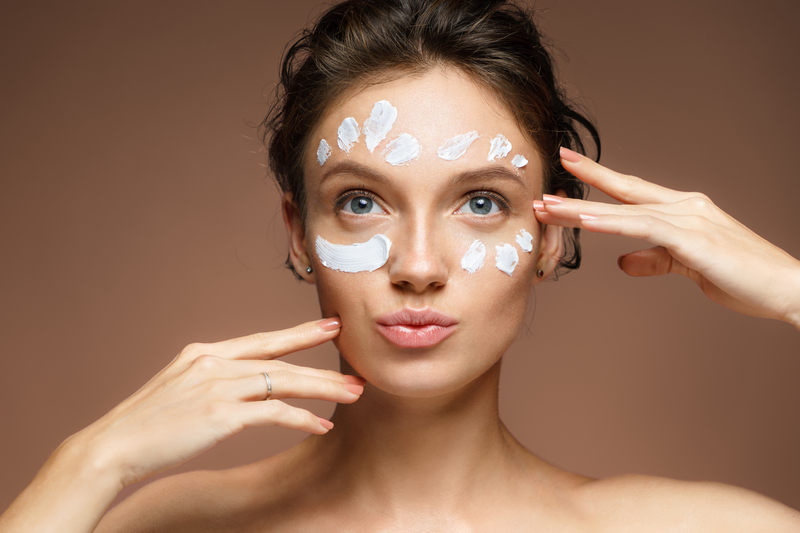 If you are looking to get rid of your freckles, dark spots, sun spots or age spots be sure to replace the protection with at least an SPF 30 sun cream or moisturizer. Freckles themselves do no harm to our skin, but they can often make your skin tone look uneven and leave spots on your face you would rather not have for aesthetic reasons. If further exposed to sunlight they can form into cancerous spots which we all want to avoid. Do you want to remove some of your freckles? Here are the best freckle removal creams on the market at the moment. This product is a serum, which is to be used in conjunction with your regular skincare routine. After you have cleansed and toned your skin, then apply your serum. Serum is a light oil which soaks deep into the skin to repair damaged cells, and in this case to remove any discoloration. This serum is great as it fades and removes age spots, freckles, sun spots, acne scars and rectifies any uneven skin tone. The Porcelain Skin Whitening Serum is made up of 97 % natural ingredients, excluding fragrance, parabens and sulfates. The more natural the better, and the less harm will be caused to your skin. Although the majority of ingredients are natural the Porcelain Skin Whitening Serum does contain an active ingredient of Hydroquinone, which should only be used once you’ve performed a skin test. This serum is to be applied daily in the evening, once applied wait half an hour then you can apply your moisturizer. Be aware that you may experience a light peel of the skin in the affected area, this is normal and part of the skin renewal process. Keep your skin well protected from the sun when using this product, to avoid any further sun damage. The natural ingredients in this serum include Kojic acid which is a Japanese ingredient known for anti-aging, skin lightening and clearing skin spots. The Hydroquinone acts to reduce the melanin in the skin, to clear up your freckles or other dark spots. The Glycolic acid is an exfoliator which clears your skin of any dead skins cells, paving the way for a fresh new face. Some of our favorite ingredients in this product includes the vitamin c, licorice and mulberry extract, which have brilliant anti-aging and lighting properties. This Triple-Action Dark Spot Eraser from Paula’s Choice is a light gel serum which will be used after you have cleansed and toned your skin. Like many skin care products today you can rest assured this one is fragrance free and has not been tested on animals making it cruelty free too. The gel serum comes in a slick silver tube and can be applied once or twice a day. During the day be sure to following with an SPF protection for your face to avoid the reappearance of dark spots. Paula’s Choice gel serum works in three ways, first the Hydroquinone (2%) works to inhibit melanin in turn fading the dark spots, then the salicylic acid exfoliates the skin to make way for your fresh face, finally natural anti-oxidants work to nurture the new skin and provide a youthful look. Expect great anti-oxidant results from the aloe and Epilobium Angustifolium Flower extract, which have brilliant soothing, cleansing and healing properties direct from nature. If you have sensitive skin you will be able to use this product as it contains soothing ingredients as well as Dipotassium Glycyrrhizate, which acts as an anti-irritant. Do know that some users have said this product is harsh on the eyes, always be careful as you should never apply any products too close to the eye area. The same applies for this serum. You should expect to see results in 8 to 12 weeks. From the trusted anti-aging Murad brand, this product was developed by Dr. Howard Murad for the fast treatment of anti-aging due to discoloration of the skin. This is another serum which comes in an elegant pump action glass bottle. This product comes at a higher price than some of the others but it may be because they claim to show results within 1 week. Rapid Age Spot Serum is perfect if you are looking for fast and rapid relief from discoloration, age spots or uneven skin tone. As any product the results may vary, but it is worth a try as feedback has been all positive. The Murad Rapid Age Spot and Pigment Lightening Serum contains Hydroquinone, Hexpeptide-2 and Glycolic acid. These ingredients all work together to renew damaged skin, correct uneven skin tone, protect fresh renewed skin as well as inhibit further production of melanin. If you are a sufferer of hyperpigmentation, brown spots or melisma then this product is great for you, especially if you need quick relief. Not only is it a great treatment for discoloration of the skin but it also assists in rectifying fine lines, uneven skin tone and environmental aging damage. Murad offer a full range of anti-aging and skin care products which have been trusted for over 25 years. This serum can be used in conjunction with other Murad products or in your own skin care routine. Apply the serum to dry skin after you have cleansed and toned, leave for a few minutes then finish with a moisturizer, if you chose to apply the serum during the day time, be sure to add in a SPF protection of at least SPF 30. The Nadolina Skin Bleach is formulated for oily skin. This product comes in a tub, and is a cream to be used after your normal skin care routine. Once you have cleansed, toned and moisturized you can then apply the Nadolina Skin Bleach. This product is not to be used as a replacement of your moisturizer. It does contain an ingredient which gives protection against UV rays, but it is still recommended to use an SPF protection after application if you are applying the product during the day. The Nadolina Skin Bleach for oily skin helps to rectify skin discoloration and lighten dark spots. It is good if you suffer from oily skin and have age spots, liver spots, freckles or other dark areas which need to be lightened. The cream contains hydroquinone (3%) in most countries if a product contains more than 2% of hydroquinone then you would need to get a prescription from a dermatologist or general doctor. Check with a skin care professional that this product is safe for your skin type before purchase. Due to certain moisturizing oils the Nadolina Skin Bleach moisturizers and conditioners your skin, leaving it feeling soft and smooth. This is best to be used on oily skin, as if you use this product regularly on dry skin it will further dry out your skin. It is a product which is readily available online as well as through your local supermarket and many pharmacies. Before using the product be sure to perform a skin test to make sure your skin is not too sensitive for its use. You should see results in 2-3 weeks. This super compact cylinder from Clinique is a dark spot corrector. Coming from the well-known and trusted skin care brand Clinique it is definitely worth a try. Even Better refers to an even better skin tone. This spot corrector can be used for all skin types and has been tested for allergies, contains no parabens, phthalates or fragrance making it the perfect choice for a sensitive skin. Clinique’s ‘Even Better’ Clinical Dark Spot Corrector works to lighten and fade dark spots as well as old acne scars. It is a great skin friendly product which can be used all year round. Apply the serum to your skin twice a day, morning and night, using 2-3 pumps of the product. Clinique claims that 58% of dark spots and uneven skin tone will be corrected after 12 weeks of use, and after 4 weeks all skin types can expect their skin tone to be 1-2 shades lighter. The dark spot corrector contains, turmeric, cucumber and mulberry extracts. The turmeric acts as an anti-inflammatory for the skin keeping its tone even, while the cucumber freshens and hydrates the skin, all of these natural ingredients contain anti-oxidants which protect the skin from free radicals and further sun damage. Clinique products are available worldwide and they have been in the skin care business for many years. They offer a great range of clinically tested skin care which is convenient as you can pair this dark spot corrector with other products in their range. Organys Glow Brightening Cream is a responsibly formulated cream to reduce dark spots and uneven skin tone. This product is a cream, but is used in the same way as a serum. Apply a dime size amount after cleansing and toning the skin, leave for 10 or so minutes for the skin to properly absorb the product. Then finish your routine with your chosen moisturizer and sun protection. Organys has a full range of responsibly formulated products which you can use with this brightening cream. Being responsibly formulated means they do not use any harmful chemicals in their skin care range, as well as being free from chemicals their products are gluten free making them vegan friendly. The packaging is sophisticated and recyclable which is a plus. Made in the USA, Organys has chosen to steer away from cardboard boxes so do not be surprised when your product arrives with no cardboard box, and only a plastic sleeve. They do this in order to cut down on the use of paper. This cream is perfect for anyone who wants to correct uneven skin tone, remove discoloration and brighten skin. Formulated from natural ingredients containing powerful anti-oxidants, such as a green tea extract, it is great if you are environmentally focused. The brand advises that for best results you should also focus on a healthy lifestyle, and have a good nutritional diet, stay hydrated, use skin safe products and apply your sun protection. The best thing about Organys is that they have a money back guarantee. If their product does not work within 45 days then you can get a 100% refund. With guarantees this good it is always worth a try. Previously we looked at the Nadolina Skin Bleach for oily skin, now we have the Nadolina Skin Bleach for dry skin. As mentioned before this product is a cream and not a serum. It should be used after your normal skin care routine and not as a replacement for your normal moisturizer. With regard to the ingredients this cream offers much the same as the oily skin cream, yet it is formulated to work well on dry skin, to not further dry out skin. After use you will have moisturized and smooth feeling skin. This is a good product if you suffer from both dry or flaking skin as well as having some dark spots or uneven skin tone you wish to correct. Here you receive two tubs in a pack which is a great deal. This product does contain 3% of hydroquinone, which if you have not used on your skin before it is wise to ask a skin care professional, and your doctor as well as performing a skin test before full application to the face. Like any skin care product make sure not to apply too close to the eye area. You should see results in 2-3 weeks of use twice daily. This slick looking cylinder from BFE is a brilliant option for sensitive skin types, although it works well on all skin types because it contains no harmful chemicals it is perfectly suited for extra sensitive skin. The natural ingredients work to lighten and brighten the skin through the use of anti-oxidants sourced from various botanical extracts. These ingredients work to fade and reduce redness, dark spots, sun spots, age spots and even freckle removal. Having no active ingredients like hydroquinone, it is safe to use on your face, neck and hands and is available over the counter, so no prescription needed. The BFE Dark Spot Corrector Cream is a product of the USA making it quality, the brand believes in it so much that they even offer a 30 day money back guarantee. The dark spot corrector cream works best when paired with the BFE Skin Brightening Serum & Moisturizer with UV SPF 45. There is a lot on the market to fade and remove spots, scars and freckles. The best way of knowing which product is best for you is to consult a skin care specialist. When choosing the right product there are a few things to take into consideration. What are you wanting to use the product for, many are specific for freckles or anti-aging, when others are skin whitening products. It is also a good idea to have a well-researched understanding of the various ingredients in the products. Products with more natural ingredients are always a better option for all skin types. It is good to look out for what active ingredients the product has as this is normally a medicated ingredient which may need a prescription, depending of the quantity used. With all lightening products and spot removal products it is very important to use an SPF protection in conjunction with the product, this is to avoid any further sun spots or damage from the sun. Protecting your skin from the sun is one of the most important things you can do. 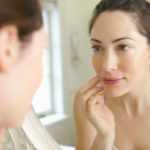 Do the above while eating a healthy diet, staying hydrated, exercising as well as by limiting the amount of stress you handle, and your skin will thank you. We hope this article has assisted you in making an informed buying decision. If you’re looking for more health and beauty advice check out some of our other great buying guides and product reviews for this season.